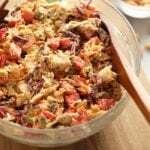 Greek yogurt chicken salad is a healthy twist on a classic lunch recipe. 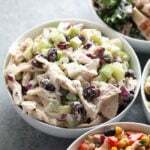 Make this chicken salad recipe with Greek yogurt, apple celery, dried cranberries, and shredded chicken! 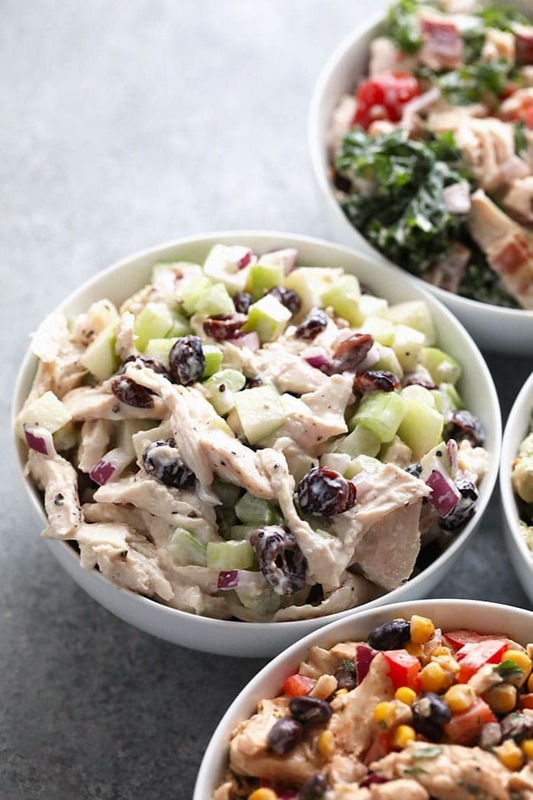 In my opinion, classic chicken salad isn’t classic chicken salad without the chicken, apples, dried cranberries, and celery! 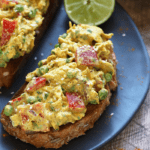 Today, we’re turning a popular mayo-based chicken salad recipe into a healthy, protein-packed lunch recipe that you will love. Greek yogurt – feel free to use nonfat, 1%, 2%, or full-fat! You can even use normal yogurt, just make sure it’s plain. 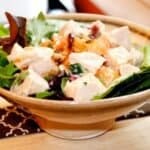 Lemon juice – this will give your chicken salad a bit of a zing and help give it that traditional mayo flavor. Honey – you can always omit this or swap it out for maple syrup instead! Garlic powder – feel free to add more garlic depending on your tastebuds. Salt and pepper – salt and pepper to taste, as always! Once you’ve got your sauce figured out it’s time to assemble the rest of your ingredients. First things first, let’s talk shredded chicken! 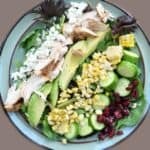 There are many ways to make shredded chicken and we prefer to do this in the slow cooker or Instant Pot. This recipe calls for 1 lb. 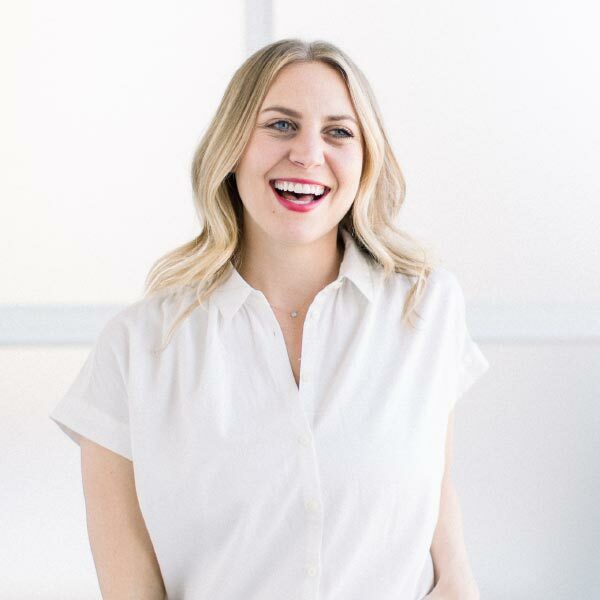 of boneless, skinless chicken breast, so just make sure you have things fully cooked and shredded before you get going with the rest of the recipe. 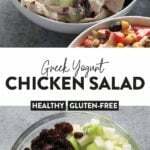 Greek yogurt chicken salad is such a great meal prep lunch idea. You can put it in a mason jar and eat just that or you can pack it in a meal prep container with more veggies, chips, etc. 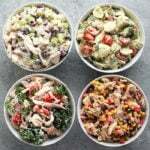 Here are some serving suggestions. 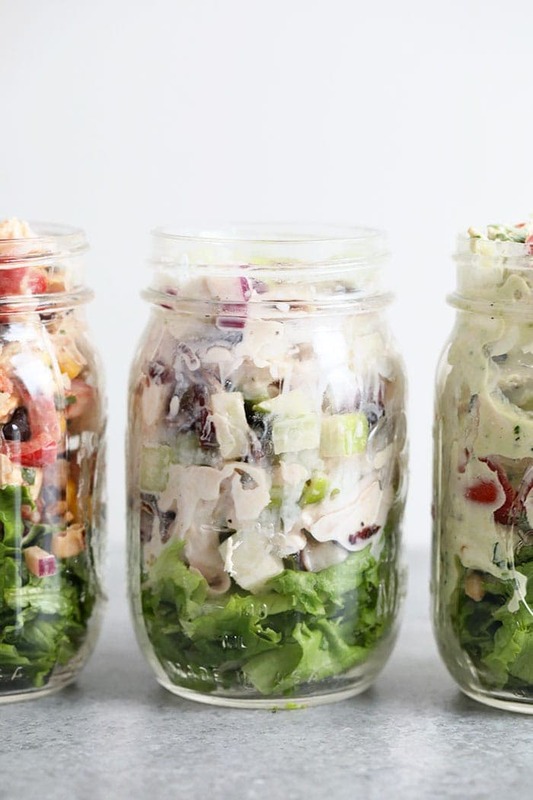 We suggest storing your chicken salad in a glass meal prep container in the refrigerator. This should last you anywhere from 3-5 days. 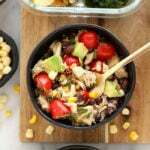 Note that you can always double or triple this recipe if you are looking to feed a crowd becuase it’s a great thing to bring to a work funciton, picnic, or party! 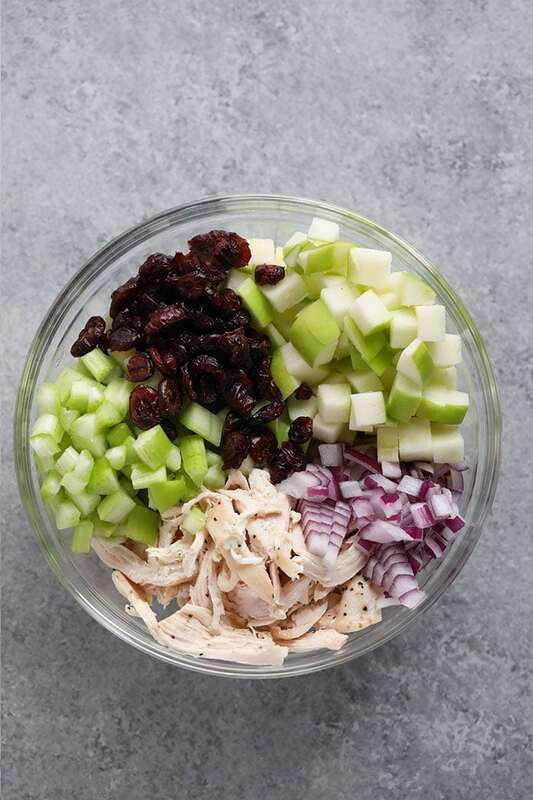 Place shredded chicken, green apple, red onion, celery, and dried cranberries into a large bowl. Mix and set aside. 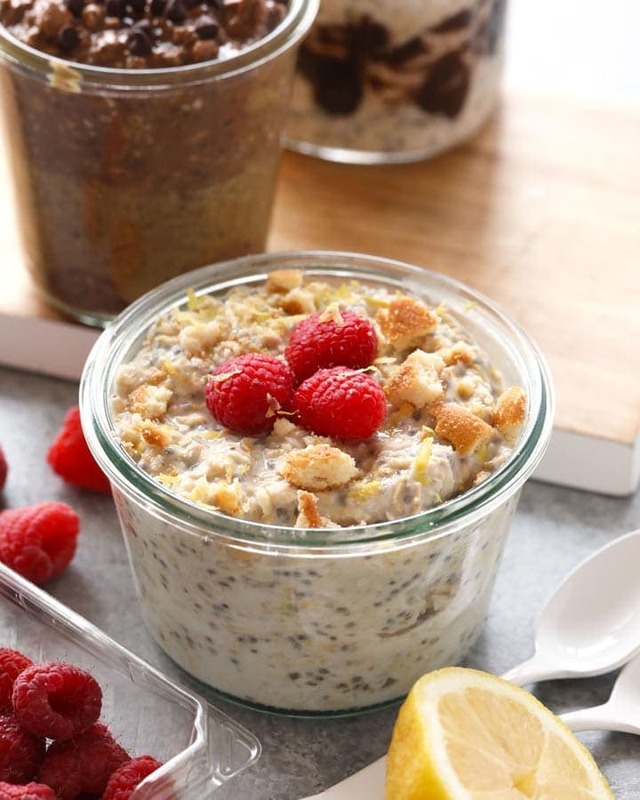 Create the sauce by mixing together Greek yogurt, lemon juice, honey, garlic powder, salt, and pepper. Add sauce to the shredded chicken mixture and mix until combined. Storage: will last in the fridge for 3-5 days.